A decade ago, Indian logistics industry followed first-party logistics model–where companies managed transportation internally and independently. Fast forward to the present age, the logistics space developed drastically, adopting advanced technology and third party collaboration, overcoming the various challenges it had always accompanied with. Today, the Indian logistics space is again transforming its entire dynamics of operation for better standards and intuitive workflows. Indian government’s implementation of Goods and Service Tax (GST), to create productive transport environments, is being welcomed as a new feat in the space. GST is a unified system that fades-off multiple layer taxation into a single national-wide tax procedure. The one-nation single-market approach simplifies transport workflows eliminating inefficient overheads of individual state taxes. It is looked upon as the terminator of endless queues of fleets at state borders also enabling checkpoint authorities to follow a standard nationwide procedure. If correctly implemented, GST can potentially reduce waiting times and down times by almost a 50 percent. Today, businesses run multiple warehouses to escape interstate taxation. However, this will change after GST implementation. Organizations can deploy centralized warehouses to serve larger business areas with utmost ease and speed. Doing so, they also can save substantially on administrative costs. With GST blurring the lines between different state taxes, it rope-in greater supply chain efficiency and productivity. Businesses can then serve larger areas, say the whole of south India with a single warehouse in Chennai or Bangalore. When fully integrated, enterprises can stall their operations in major cities and then supply their products to particular hubs. This move will also affect supplier networks, workflow patterns, and logistics routes by channelizing transportation to specific warehouses instead of fragmented locations—contributing to an optimized supply chain. How will GST affect freight movement? GST puts an end to the much time-consuming process of document assessment. As per GST, all consignors, consignees, and transporters need to carry only a single all-inclusive document, thereby reducing waiting time. Transporters only need to generate an e-waybill, input transaction ID, registration number, and share this information with the consignor and consignee. The unique identification number assigned to an e-bill can be quoted at any authorized checkpoints and for spot checks. GST bill will also reduce the number of checkpoints across state borders by taking the process to a digital platform. The system eliminates long queues at state border checkpoints, enabling a quicker and more efficient mode of transportation. Considering the scenario that businesses lose billions every year in transaction costs and associated delays, this step will significantly lower expenses in the long run. Enabling a nationwide taxation system will allow interstate traffic to move significantly faster – becoming financially viable and fuel efficient. GST will bring significant change in the logistics arena and with the right steps, it can redefine the Indian logistics industry as a whole. 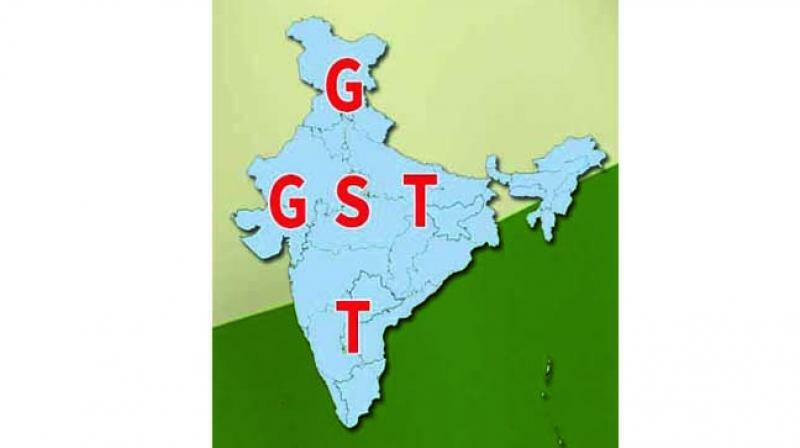 Nice blog on Impact of GST on country India. Thanks for sharing such a nice information on how GST will bring some good changes which will surely help logistics industry. Helpful blog. Thank you very much for the response. We really appreciate it. Check out our website for logistics solutions or technology for road cargo transit.Bye.